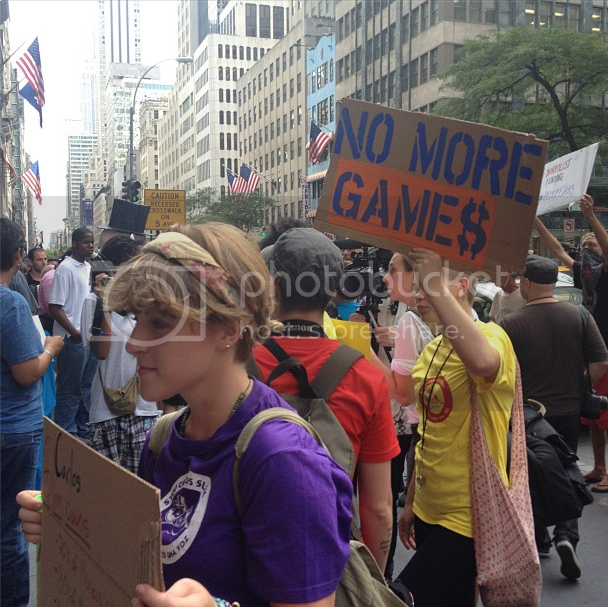 Activists bring anti-monopolization protest to Saks Fifth Avenue, Yo Soy 132 does not endorse event. 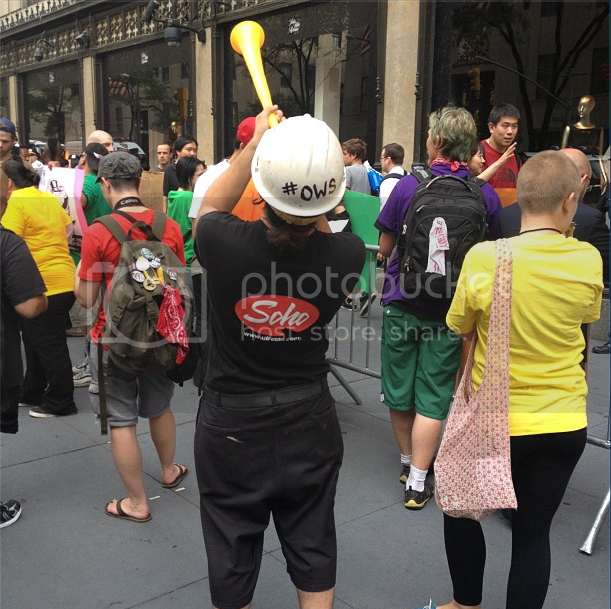 There was a great deal of confusion yesterday concerning circulated press releases that claimed Yo Soy 132 was part of a “coalition” planning to protest Saks Fifth Avenue yesterday evening. As it turns out, Yo Soy 132 did not endorse the event and was not part of any coalition. “Yosoy132internacional and YoSoy132NY were told on short notice of this act. According to our character assemblies, do not have the time to discuss the organizational and logistical details of this event and the convenience of our involvement. Therefore, following the democratic principle governing all meetings of #Yosoy132internacional, we decided not to participate in these events. We reiterate our solidarity and respect for the cause of Occupy Wall Street and our sincere willingness to strengthen dialogue with them,” the group states on its New York chapter website. The remark may be a reference to Two Countries One Voice leader Andres Ramirez, who began his career in Washington, DC, working as a legislative aide to US Senator Harry Reid, and then worked for Nevada Governor Bob Miller in the State of Nevada’s Washington, DC, office. Ramirez later joined numerous political and advocacy campaigns. Most recently, he served as the senior vice president of the political and advocacy think tank NDN. Currently, Andres serves as the vice chair of the DNC Hispanic Caucus where he is tasked with helping the DNC develop and implement its Hispanic engagement strategy. Aaron Black is an Occupy organizer who had one of his quotes attached to the original, misleading press release. 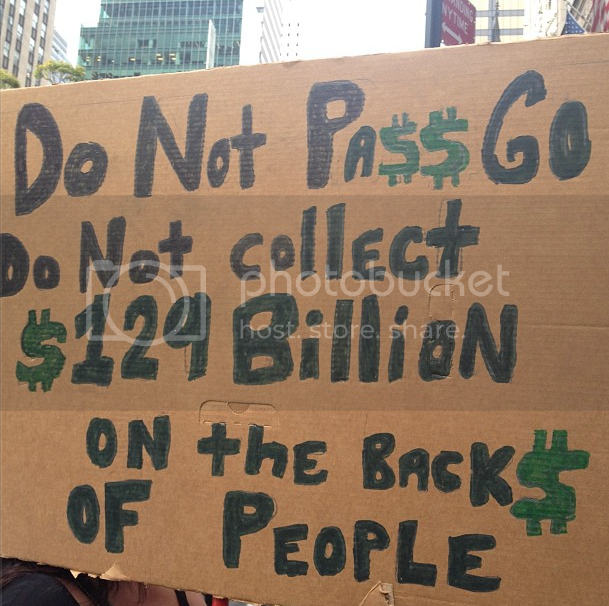 “Occupy Wall Street and Yo Soy 132 are not a part of any coalition with elected officials. Sure, we engage them and talk to them about the issues like our democracy being sold to the highest bidder, the housing crisis, trillion dollars in student debt, there are many issues we care about, and sure we’re engaging with the power structure, but we’re not joining a coalition with them. We were never part of a coalition,” he says. Black emphasizes he’s attending the event because he believes the world needs to know about Carlos Slim. 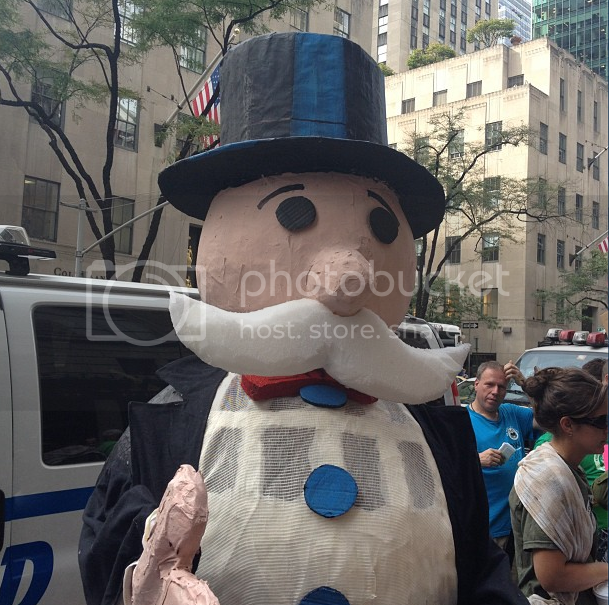 Despite the disagreement between the groups, around 150 activists showed up to protest outside Saks Fifth Avenue, and bring their anti-monopolization protest message to the streets of New York City. 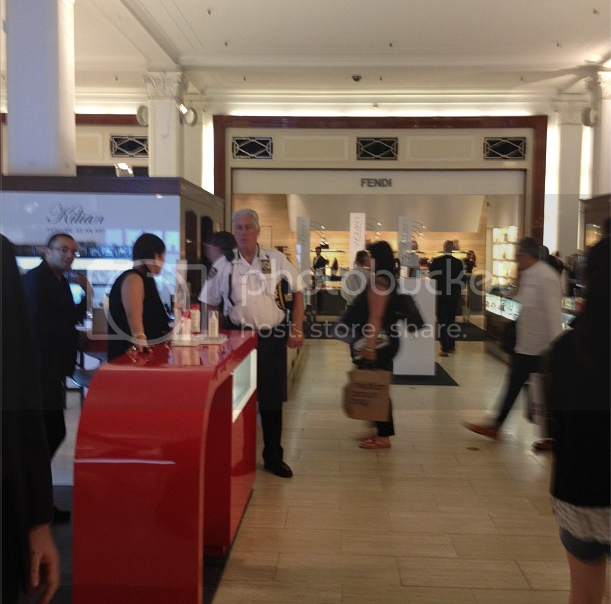 (Police guard Saks Fifth Avenue. All photos by Allison Kilkenny). 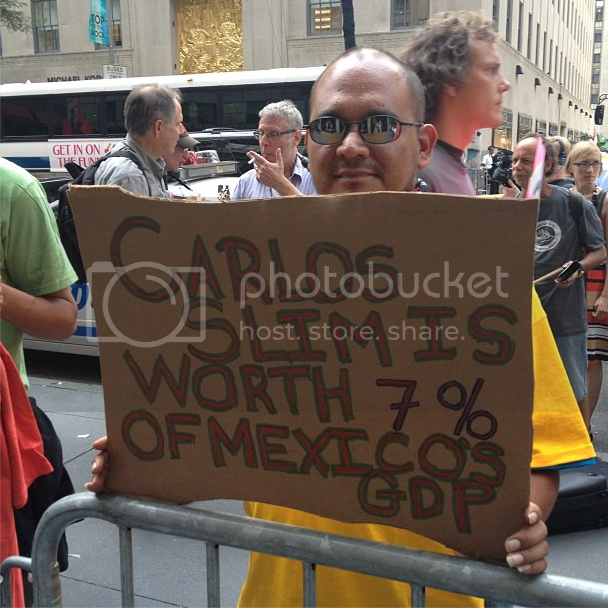 The main target of the demonstration was Carlos Slim, whom Forbes recently named the world’s richest man (as of March 2012, Slim and his family were worth $69 billion). Slim has a good chunk of ownership in Saks Fifth Avenue, and he owns a telecommunications behemoth in Mexico. Gutierrez says Americans have a false perception of Slim being a “classy guy,” who earned his wealth. In reality, it’s been Slim’s unethical monopolistic business practices that have hurt Mexico’s chances at prosperity. A report from the Organization for Economic Cooperation & Development states that Mexico’s phone industry, dominated by the billionaire Sims (he controls 70 percent of the market), overcharged customers $13.4 billion a year from 2005 to 2009, hurting the nation’s economy. Gutierrez says he hopes for a chance to sit down with Slim to explain some of the grievance expressed by protesters. “We understand, at least by some of the people who know him, that [Slim] is a reasonable man, so hopefully he’ll understand that he’s got to deal with the 50+ million population of Latino origin in the United States, the largest section of which is Mexican origin, so he cannot just walk in here as though this is Mexico and he’s going to establish monopolies like he’s been able to do in Mexico, and then claim he’s made his fortune in the free enterprise system with free competition,” he says. “He’s Mexico’s 1 percent. He’s the richest man in the world,” she says. Being able to assemble on Fifth Avenue is important, Winnie says, because it’s where so much of the concentrated wealth is located, and because tons of tourists are in the area. Yoni jumps in to point out Slim owns about 7 percent of the GDP in Mexico, and a lot the profit he makes is through institutions like Saks Fifth Avenue in the United States, but the event is also about expressing solidarity with students wherever they may live, from Montreal to Yo Soy 132. 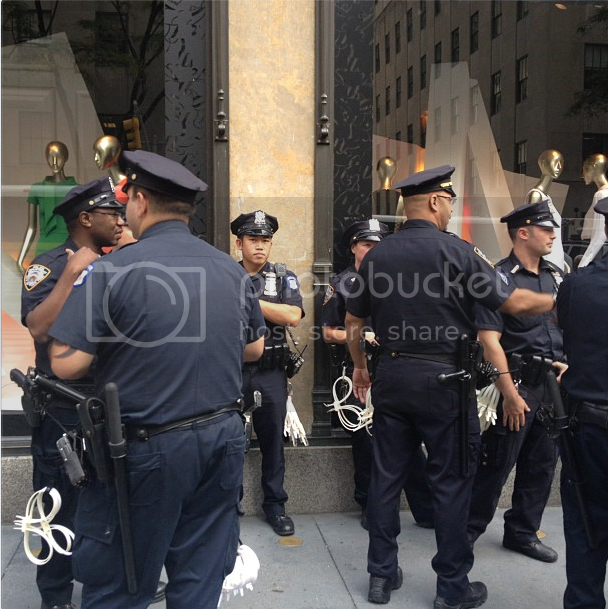 In order to protest inside Saks, protesters entered the swank shops one-by-one so as to avoid a rush of bodies the NYPD would likely deem a threat to public safety. 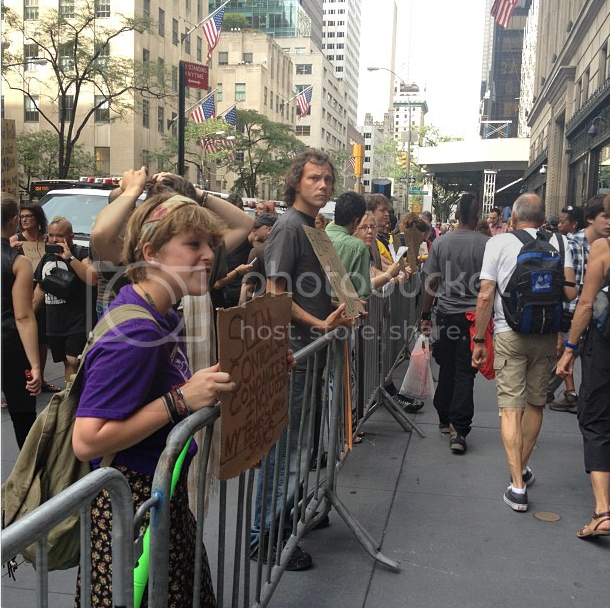 Once inside, protesters gathered at the heart of the store and addressed shoppers using the People’s Mic. The entire protest lasted roughly two minutes, with private security (uniformed and undercover) attempting to usher demonstrators out the entire time. Afterwards, protesters filed outside to continue the demonstration. The NYPD made no arrests. Black sees a connection between Slim’s monopoly and the strangehold companies like Verizon and Cablevision have on US markets. “A lot of people are going to get screwed over. It’s the same thing,” he says.